We sell Certified Pre-Owned Mercedes Benz, Audi, BMW, Jaguar, Porsche, Land Rover and other select Euro imports! Family owned and operated, iAUTOHAUS is your Phoenix Mini Dealer alternative for Service and Repair. Trust starts with our knowledgeable Service Advisors and Certified Master Technicians, and we only use quality parts backed by our 24 Month/24K mile warranty on parts and labor. Phoenix Mini owners now have a great dealership alternative for Service, Maintenance and Repair. Mini Service excellence is what we strive for at iAutohaus in Tempe. Old or new, Mini cars demand a high-level of maintenance and Service. 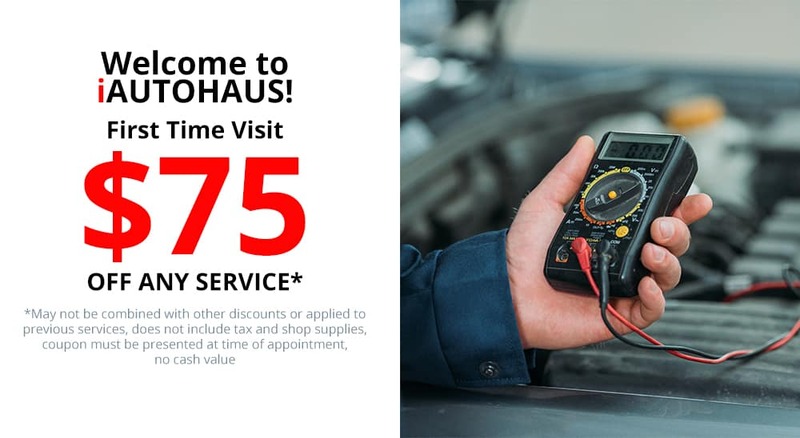 Mini Dealership Service can be expensive and take a significant time to complete, so trust your local Mini shop iAutohaus to provide you with the customer service and vehicle repairs that you deserve. Read our Phoenix Mini Service reviews online and you will see why everyone is choosing us. We serve the whole Phoenix valley, including Mesa, Tempe, Glendale, Avondale, Scottsdale, Apache Junction, Gilbert, Chandler, North Scottsdale and Cave Creek fountain Hills.